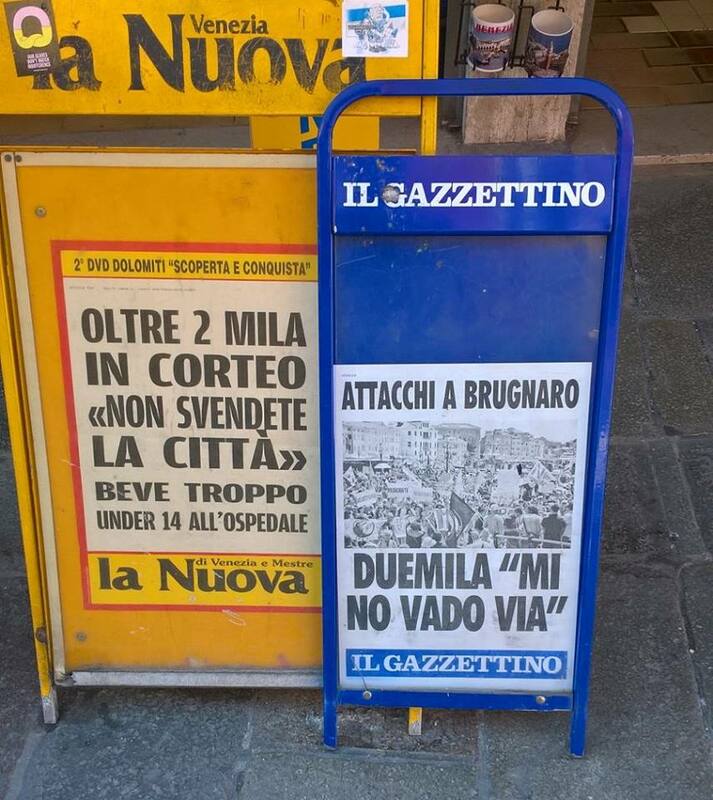 Rassegna stampa “in costruzione” perché di questa manifestazione si parlerà ancora a lungo e ci sono tre interviste dei nostri portavoce in arrivo, su testate nazionali e internazionali. Quella che segue è solo una selezione provvisoria. 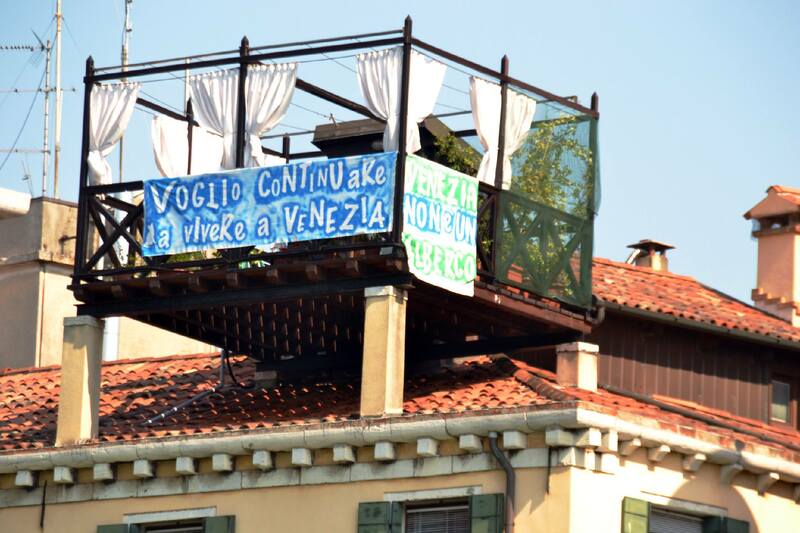 Nuova Venezia, 3 luglio 2017: “Più ostinati del sole, più uniti di sempre” – l’incipit dell’articolo di Manuela Pivato. Azzeccatissimo! Un GRAZIE di cuore a chi c’era, a chi avrebbe voluto esserci ma non poteva e a chi vorrà esserci la prossima volta. 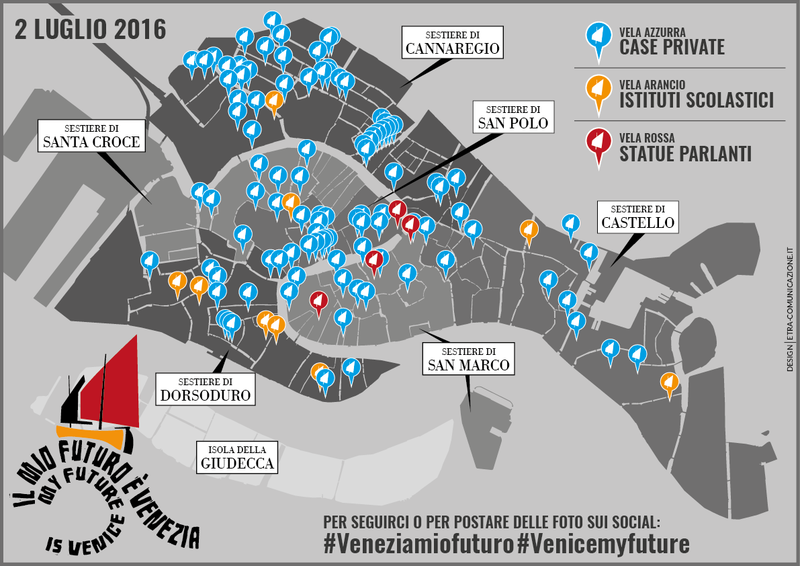 #Veneziamiofuturo per noi non è uno slogan ma un progetto di vita e una dichiarazione di intenti. #MiNoVadoVia ne è la declinazione per chi già vive qui e non ha nessuna intenzione di arrendersi. Qui siamo e qui resteremo, anche per dare una mano a chi vorrebbe poter ritornare e non ritrovarsi con una città fantasma popolata soltanto da turisti ed escursionisti. Alla prossima! 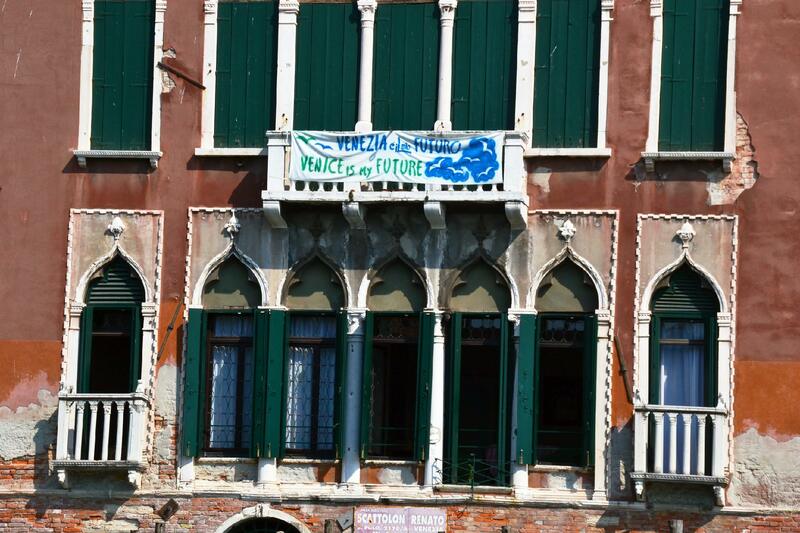 Venezia, un pesce di nome Panda? Quello che comincia domani non è più il nostro Carnevale: è una macchina mangiasoldi per spennare i turisti 11 mesi su 12: il solo mese di tregua per noi è gennaio. 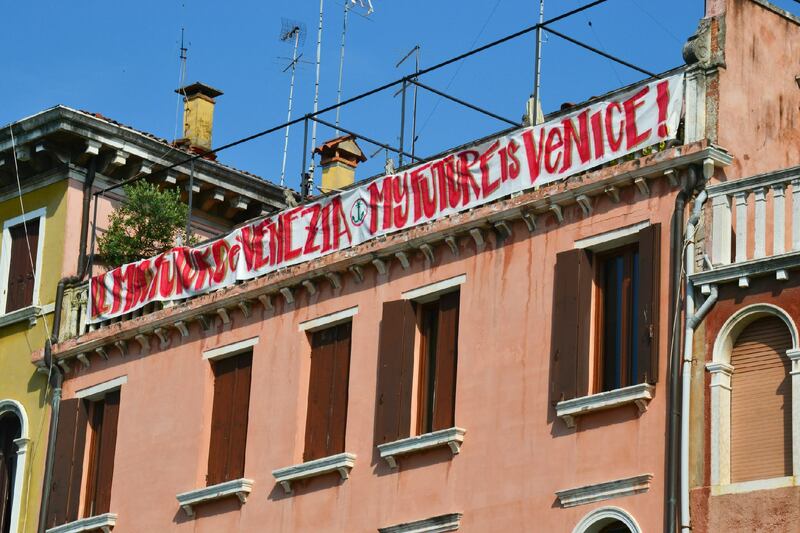 Per far girare la macchina mangiasoldi al massimo, bisogna svuotare Venezia dei suoi cittadini e la missione è quasi compiuta. Quasi.. e noi non ci stiamo, non intendiamo rassegnarci a fare le valigie per fare posto a quel tipo di monocultura. I Veneziani sono una specie in via di estinzione? Anche il panda gigante lo è stato , la buona notizia è che non lo è più. Simbolo della protezione della natura nel mondo intero, il panda gigante era minacciato di estinzione. Nel 2016, è stato ritirato dalla categoria come specie in “pericolo”, per passare nella categoria di specie “vulnerabile”. 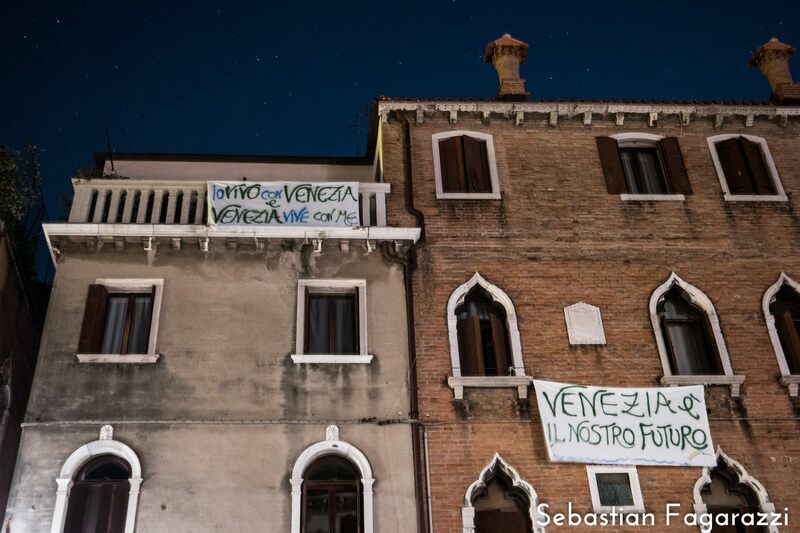 Alla vigilia del Carnevale che non è più nostro, rivendichiamo il diritto di vivere a Venezia, la nostra resistenza alla speculazione che vorrebbe cacciarci da questa città per far posto alla monocultura turistica che tutto vorrebbe inghiottire, la nostra capacità di fornire soluzioni ai problemi sollevati. 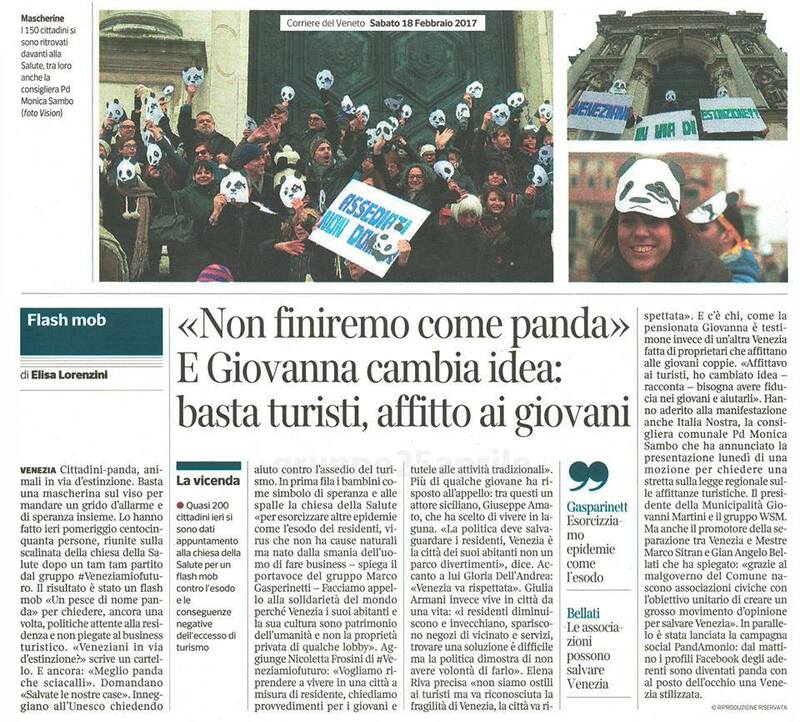 Lo facciamo attraverso delle maschere da panda, per attirare l’attenzione del mondo intero. 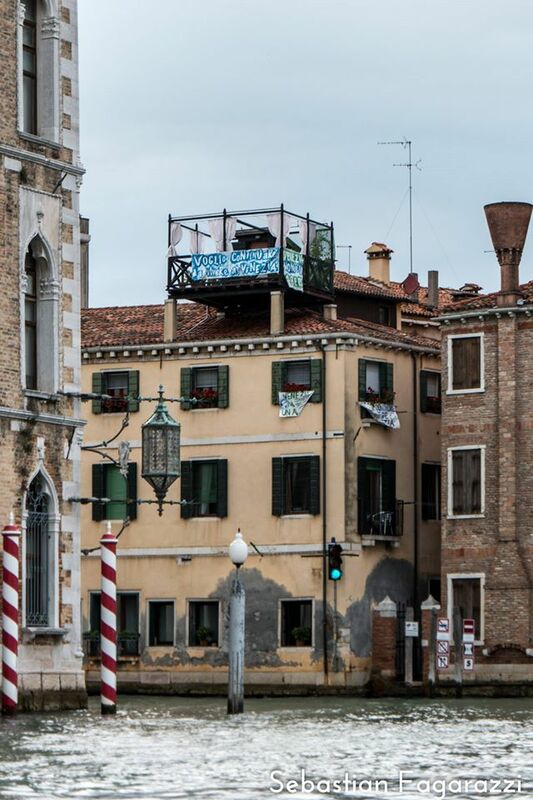 Lo facciamo con un’operazione simbolica oggi alle ore 16 sul sagrato della Chiesa della Madonna della Salute, che fu eretta dai nostri avi quando la popolazione della città precipitò da 143.000 a 98.000 abitanti, con l’epidemia 1630. Oggi siamo rimasti in 54.600 residenti. Un nuovo slancio è necessario, con la stessa energia che nel 1630 permise alla città di rinascere dopo l’epidemia. 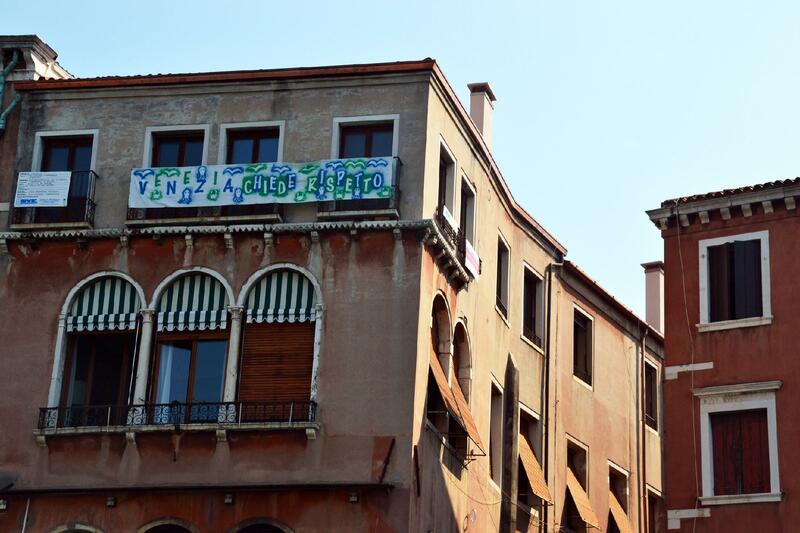 Facciamo appello alla solidarietà del mondo intero, perché Venezia, con i suoi abitanti e la sua cultura unica, è patrimonio dell’umanità e non la proprietà privata di qualche lobby. Il 17 febbraio a partire dalle ore 17 vogliate diffondere queste immagini e i video, vogliate condividerli se condividete il nostro sogno e la nostra battaglia: su facebook oggi saremo in centinaia a farlo, utilizzando l’immagine di profilo che vedete su questa pagina. Venice, a fish called Panda? That which begins tomorrow is no longer our Carnevale: it is a slot machine for milking the tourists 11 out of 12 months: the only month with a respite for us is January. In order to get the maximum out of this slot machine, it is necessary to empty Venice of its citizens, and the mission is almost done. Almost… but we who live here are not done; we are here to stay and to stand for our right to remain in our city. 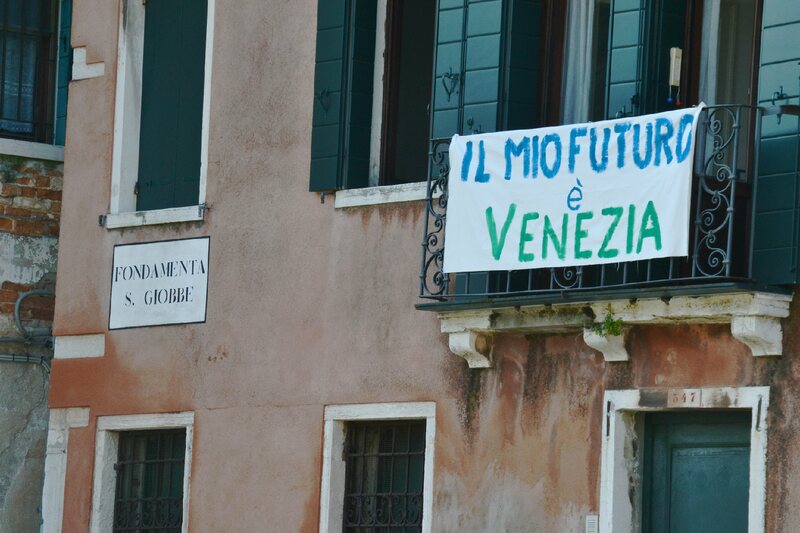 Are Venetians a species destined for extinction? The giant panda also was such, and the good news is that it no longer is. A global symbol of the protection of nature, the giant panda was threatened by extinction. In 2016 it was removed from the category of “endangered species”, to be moved to the “vulnerable” category. our capacity to offer solutions to the growing problems (see attachment). We do this with panda masks, to attract the attention of the whole world. 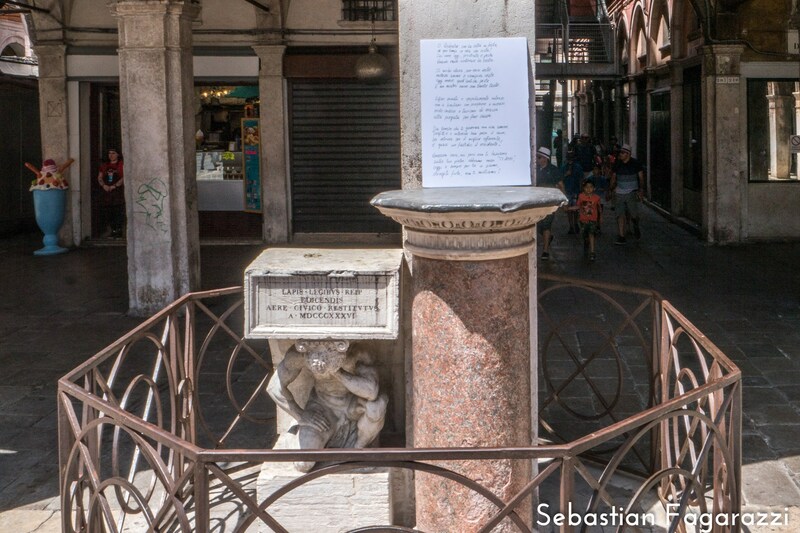 We do this today at 4m Venice time at the steps of the Church of the Madonna della Salute, which was erected by our forebears when the population of the city dropped from 143.000 to 98.000 inhabitants in 1630. Today there are only 54,600 residents left. A new surge is needed, with the same energy that in 1630 enabled the city to be reborn after the plague. 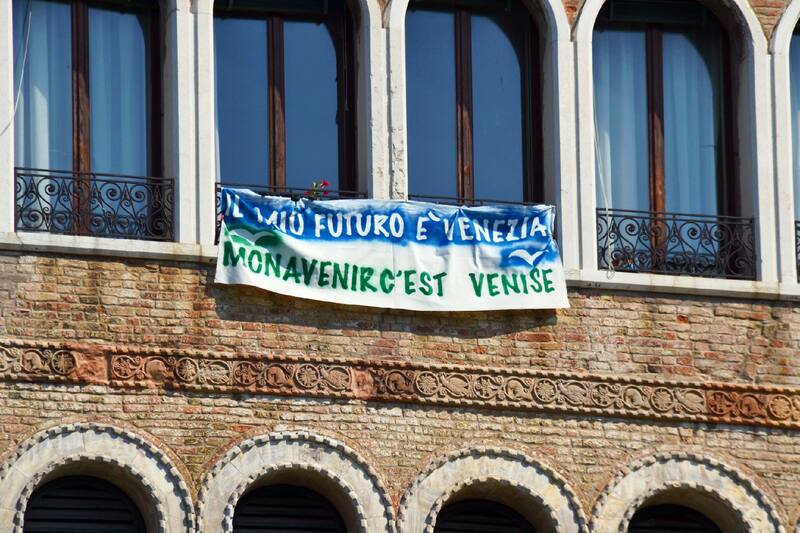 We appeal to the solidarity of the whole world, because Venice, with its inhabitants and its unique culture, is the heritage of all humanity, and not the private property of a few interests. We ask you to share these images and videos; we want you to share them if you share our dream and our fight. Today we will be hundreds and may be thousands to do it, in front of the Church and on Facebook. Карнавал, который начнется завтра – это больше не наш Карнавал, это машина для зарабатывания денег, игральный автомат для того чтобы обирать туристов 11 месяцев в году из 12. Единственный месяц передышки для нас – это январь. Почти… вот только мы не согласны! Венецианцы – это вымирающий вид? Большая панда тоже была вымирающим видом, но хорошая новость заключается в том, что больше она таковым не является. Символ защиты природы во всем мире, панда, находилась под угрозой вымирания. В 2016 году её исключили из категории видов, находящихся в опасности, и определили в категорию уязвимых. Накануне Карнавала, который больше не является нашим, мы отстаиваем свое право жить в Венеции, мы сопротивляемся тому чтобы быть изгнанными из нашего города, тому чтобы освободить место для этого автомата по выкачке денег, который хочет поглотить всё! Мы говорим о нашей способности предоставить решение изложенных выше проблем (см.приложение). Мы заявим это с помощью масок панды, чтобы привлечь внимание всего мира к данной проблеме. 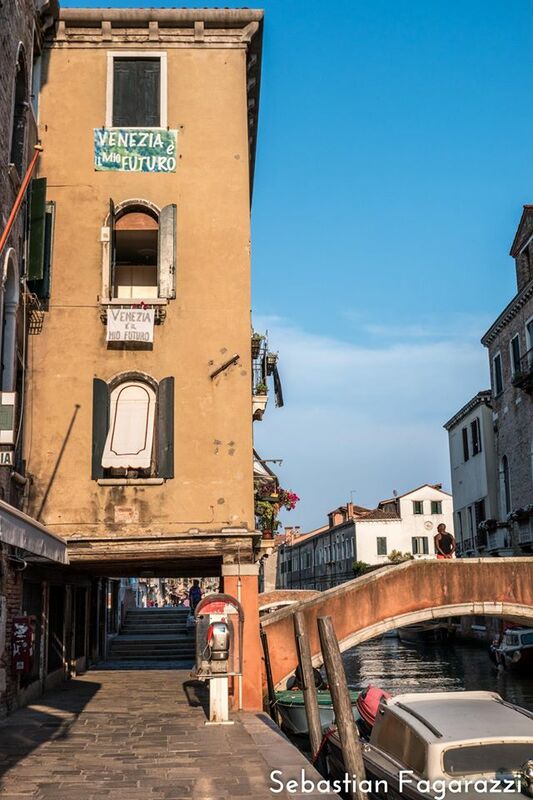 Действие будет проходить на площади перед церковью Madonna della Salute, которая была возведена нашими предками, когда количество жителей резко сократилось со 143.000 до 98.000 , в 1630 году. Необходим новый подъём, с такой же энергией как в 1630 году, который позволил городу возродиться после эпидемии. Мы обращаемся ко всему миру за солидарностью, потому что Венеция, со своими жителями и своей уникальной культурой, является наследием всего человечества, а не частной собственностью неких лобби. Пожалуйста, распространите эти фотографии и видео, поделитесь ими, если разделяете нашу мечту и нашу борьбу. 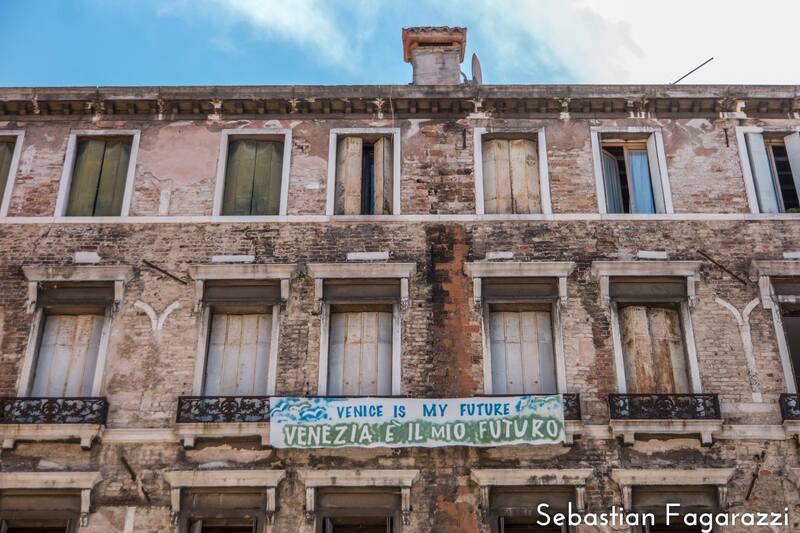 This document summarizes the proposals and the principal requests collected in the meetings with the venetian districts (the six “sestieri”). It is not exhaustive, nor does it represent the position of a single association because our objective is to give voice to the needs of the districts with reference to the problems most acutely felt in the ‘city of water’. In this sense it is also a ‘book of grievances’, where for each ‘grievance’ we have elaborated a possible response. 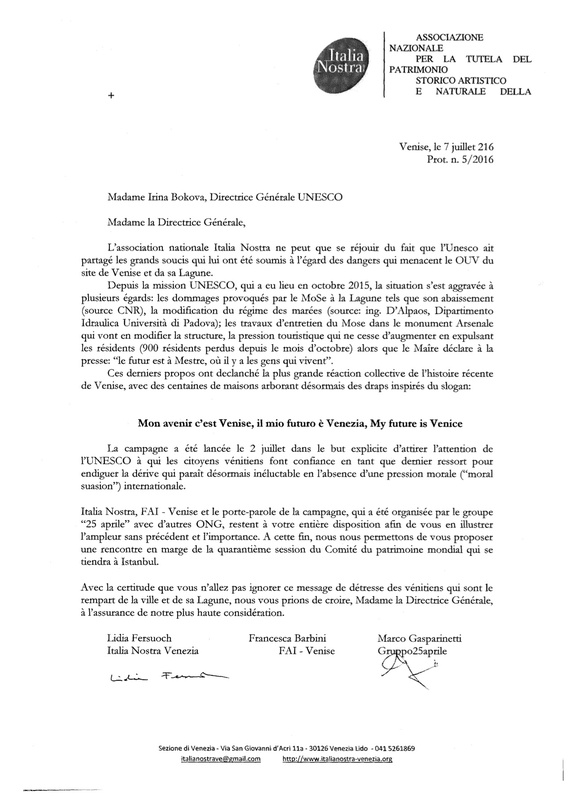 The proposals conform to the criteria which were specified at the beginning of the cycle of meetings: we are not asking for the moon, we do not want to create illusions or engage in demagoguery; the criteria by which we are inspired are those which translate to requests that are concrete, actionable and realistic. 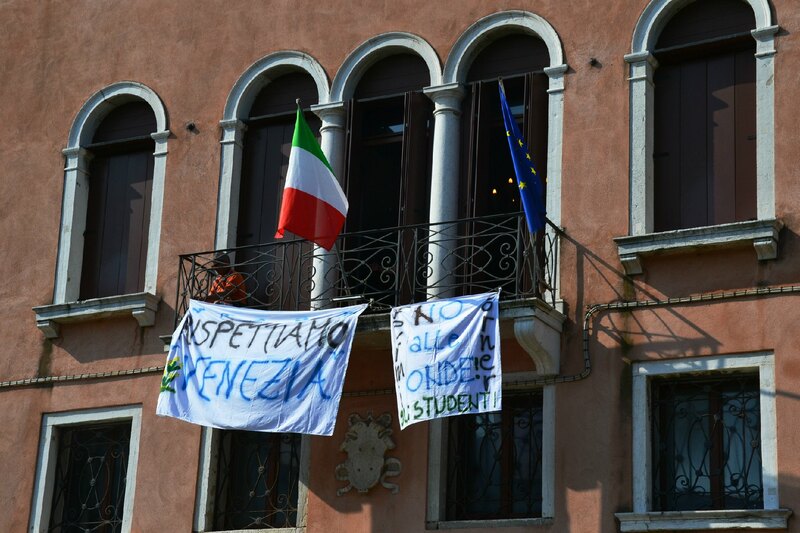 To the elected representatives in the Institutions we ask that each one do their part, and that they do it immediately, because Venice feels besieged and the situation does not allow for any further delay. 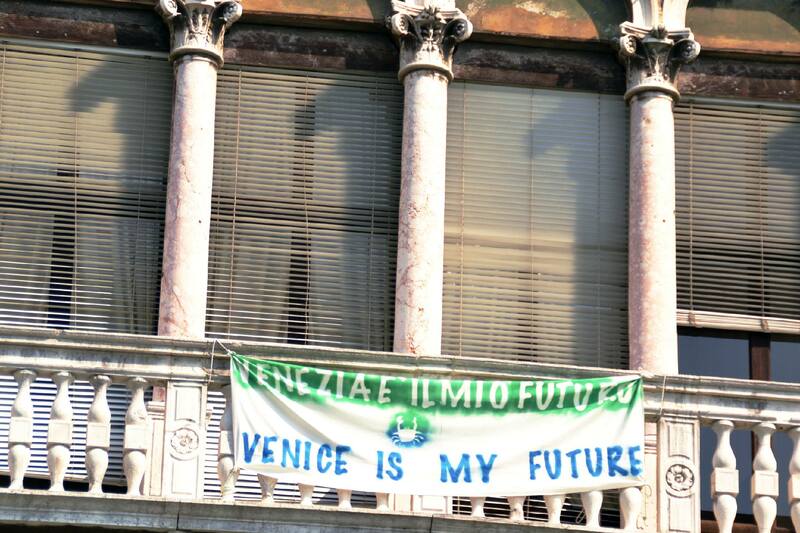 The discussion at Ateneo Veneto will permit discussion of some “priority” proposals, and to refine others, situating them in a vision of that which is necessary and urgent to give a future to Venice: we will not speak of long term but of things that can be done immediately, before it is too late; the rest is material for a ‘program of governance’ for anyone who wants to run for office in the next election. This document was published for 10 days on our Facebook page and on our web site to collect comments and suggestions from those who participated in the meetings (over 500 people) and also those who did not. 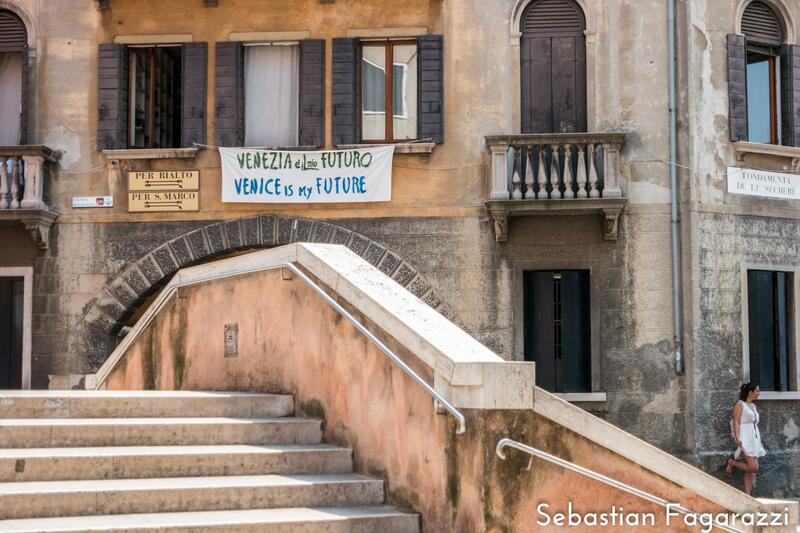 The cycle of meetings in the sestieri, including the concluding meeting at Ateneo Veneto, was entirely self-financed by the citizens, without any support from political parties or trade unions, businesses or cooperatives, public entities or Foundations. 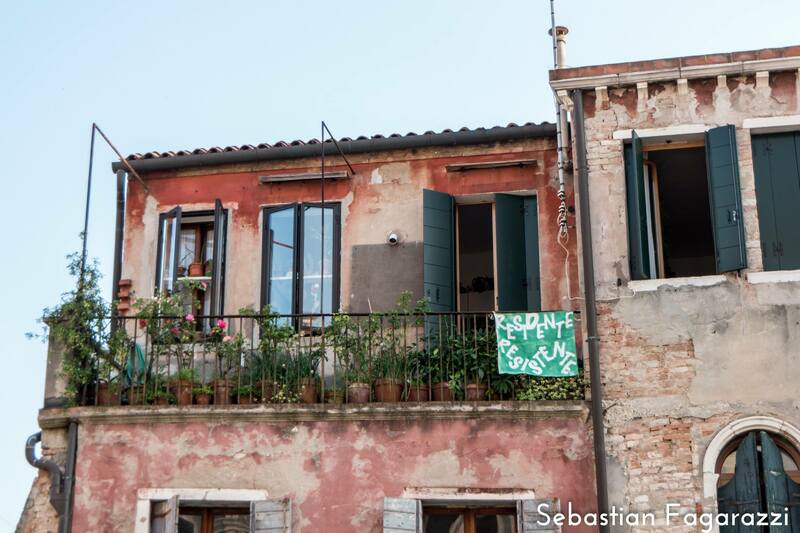 We do not have a label and we do not want one, ours is only a movement of opinion that has preferred a different approach from the ‘recipes’ that come from on high (often formulated by people who do not know the city): proposals born of daily contact with the city, sestiere by sestiere. 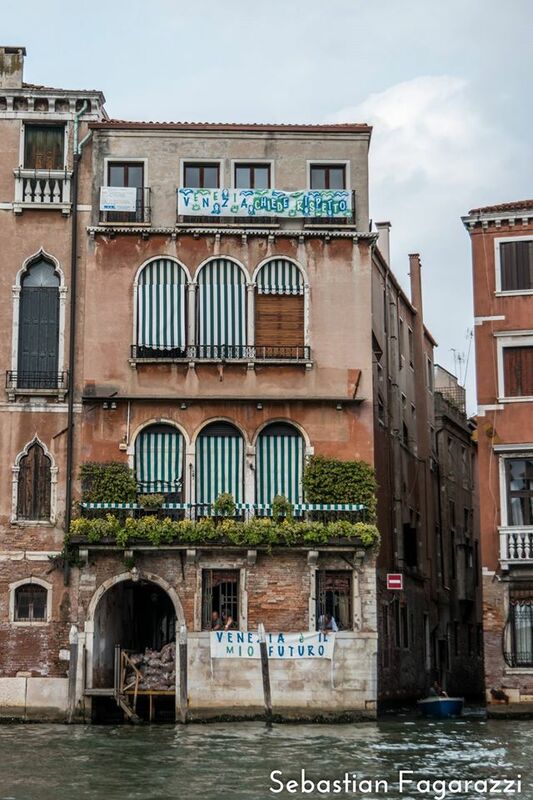 1) the urgent modification of the regional law of 2013 that brutally liberalized tourist locations; this modification could be adopted in a short time because it would only require the introduction of an exception for the sestieri of Venice, in recognition of the specific needs to care for its social fabric, which is an integral part of what makes it special, imposing requirements also on the disposal of waste water, to care for the hygiene and environment of the Lagoon. 2) immediate action regarding ATER (the social housing company) whose job is “the construction and recovery of housing, to assign as temporary or permanent lease to controlled apartments” to the end of the assignment of housing currently not used, eventually favoring a form of self-restore done by potential residents, and to the completion of housing units where work has been started but not yet finished. The allocation of funds needed to start a special program for the maintenance and replacement of the bricole, to complete the first work of the InterRegional Superintendent for Public Works, based on the maps which were updated at our request in May 2016. 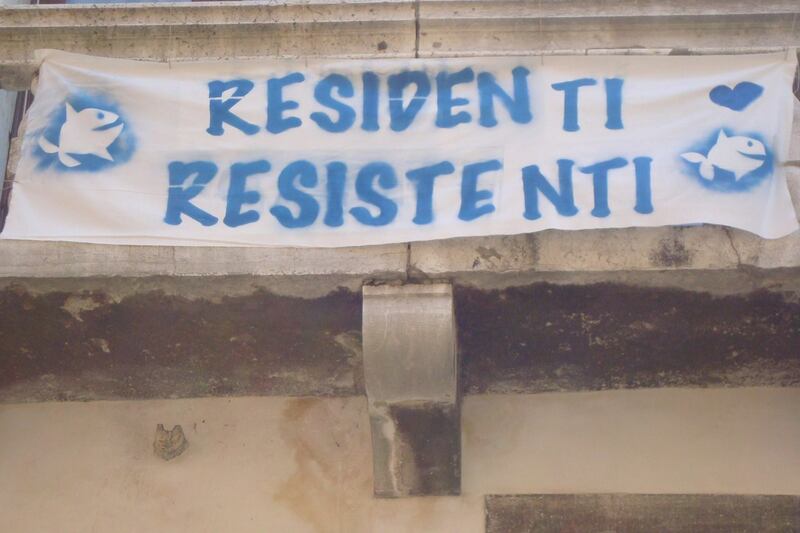 To immediately stop for at least two years the change in use of real estate from residential to tourist lodgings or hotels in the sestieri, an option which is already recognized by the current PAT (Plan for Territorial Assests) in force since 2014 to protect residential property, which has fallen to historic lows and in some sestieri risks being extinguished in the absence of immediate ‘shock therapy’. This provision, by nature emergent and provisory, will be accompanied by ‘structural’ measures and permanent times to incentivize long term residence over that of a speculative nature (see also R for refuse, on the subject of TARI for the use of fiscal levers as equalizers): that which will be assembled is a mix of measure such as will build a common pact with ‘virtuous’ property owners. To recognize and promote the right of each person to conduct an existence that is dignified and decorous. Respect for the old and the disabled cannot be limited to some ‘reserved’ seating on board the vaporetti, but must manifest in forms of support aimed at sustaining the quality of life for this sector of the citizenry. 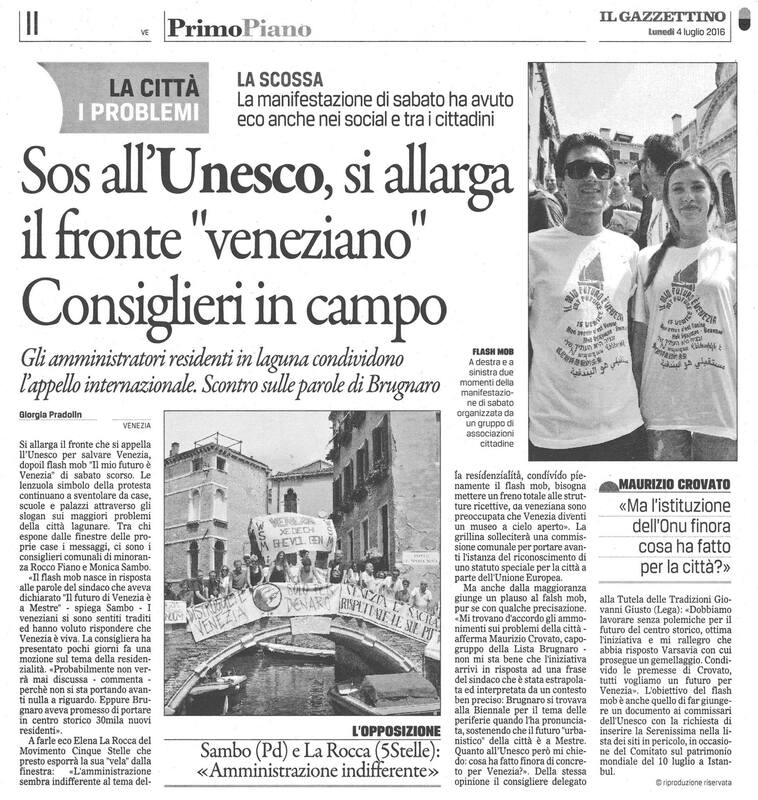 In these sectors the City of Venice boasts a solid tradition that we maintain is necessary to preserve or restore against the spending cuts that have been made, also encouraging the numerous forms of volunteerism present in the area that often operated without any public contribution. A project of nautical education, to which we are ready to provide our contribution with volunteer teachers and experts, in consideration of the increasingly frequent accidents (at times fatal) that are in part due to inexperience and/or a lack of understanding of the basic rules, given that the current law allows navigation without a license for motorboats under 40 hp (that with simple modifications can be brought up to 60). To start as soon as possible some form of planned management of the flow of tourists that would permit a loosening of the grip of a pressure that has become unsustainable and incompatible with the very possibility of offering a welcome worthy of the City’s reputation; among the proposals on the table, that of Roberta Bartoloni which was illustrated at the meeting in Castello presents characteristics of being incremental, flexible, achievable, and non-discriminatory, while containing costs, which we particularly appreciated – without excluding others that can be compared with this one, to the end of taking the best parts of each. To give a tangible sign of discontinuing the policy of selling off public properties begun by previous administrations, which in the current budget situation (with the loosening of the restrictions of the stability pact) is incomprehensible if not myopic, and in some cases translates in to an absolutely paltry amount of revenue relative to the permanent loss for the community as has happened with custody of the Giardini Papadopoli. 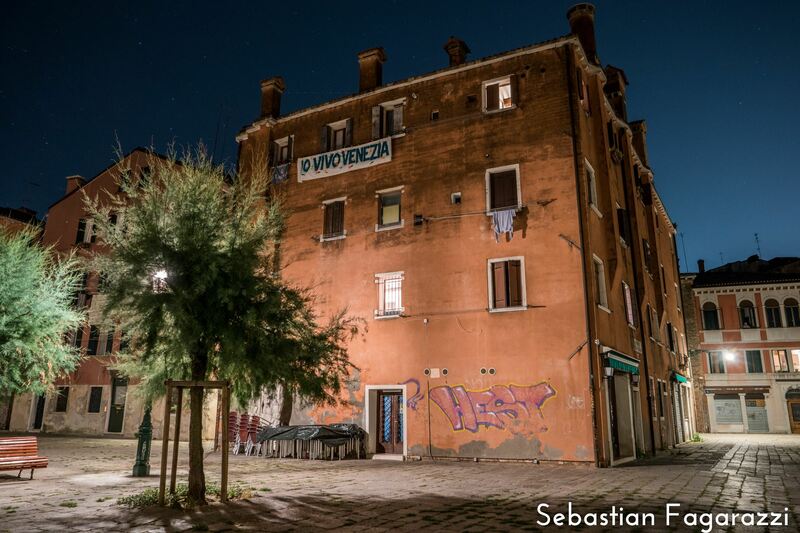 Night lights and the installation of surveillance cameras in ruga degli Oresi, which recently has seen incidents of terrible violence against a store owner. To move beyond the current phase of using the Arsenale as a space for private parties –the proceeds from which are not being used, as would be logical, to address the many maintenance problems that become emergences ignored by the Administration (such as risks of collapse) – when instead it should be a natural point and ideal fulcrum for the creation of qualified jobs, that are not related only to the tourist monoculture – this could be designed as a center of maritime research able to host research institutions both Italian and foreign and offering spaces to businesses compatible with the complex and engaged in the maritime sector (shipbuilding, maritime jobs), traditional artisanry (metalwork, woodwork) and restoration, in a cultural framework unique in the world. 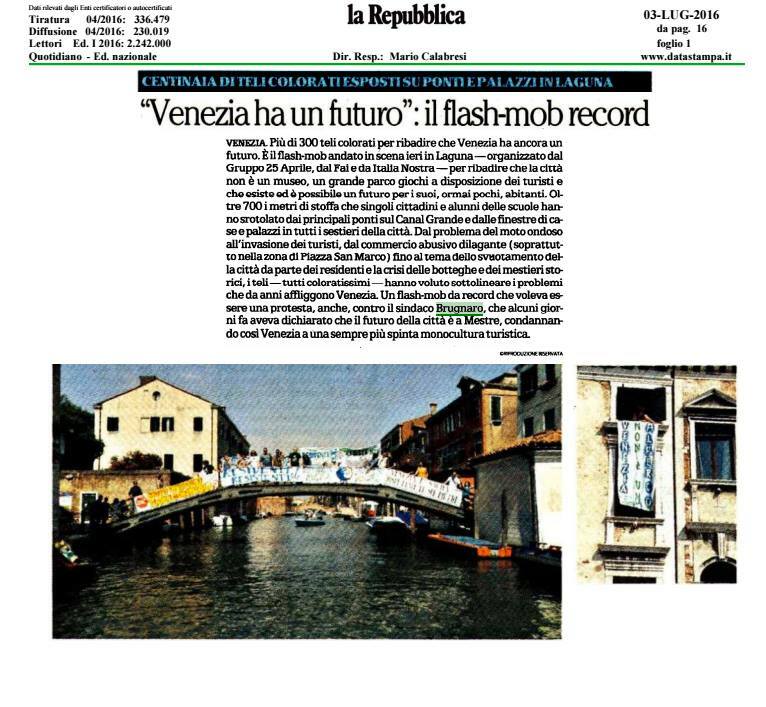 To respect the promise of ‘revitalization of the city’ we further ask for the opening of the Arsenale to the citizens, breaking down the barriers to permit a unique tour for visitors (also in the spaces occupied by the Biennial) which could generate income with paid guided tours for small groups. 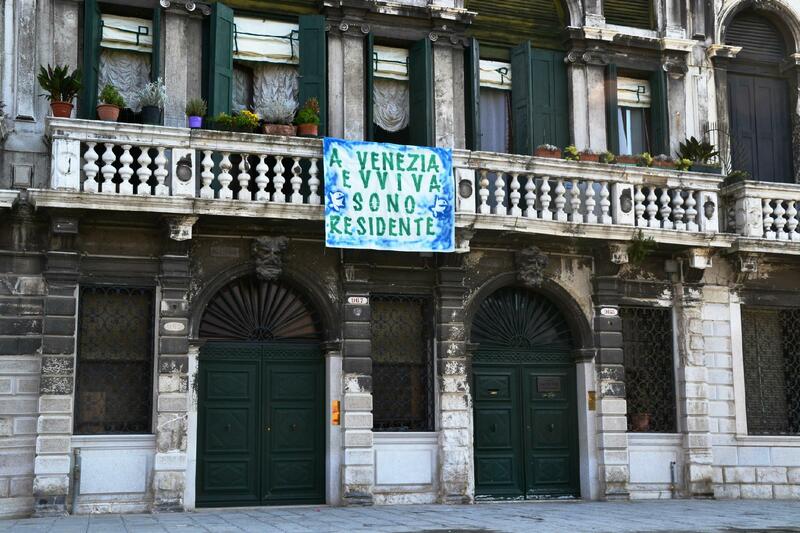 Venetians permanently residing outside the city as of December 2016 (source: electoral lists from the constitutional referendum): 12, 296, more than the combined number of residents in the sestieri of both San Marco and San Polo! 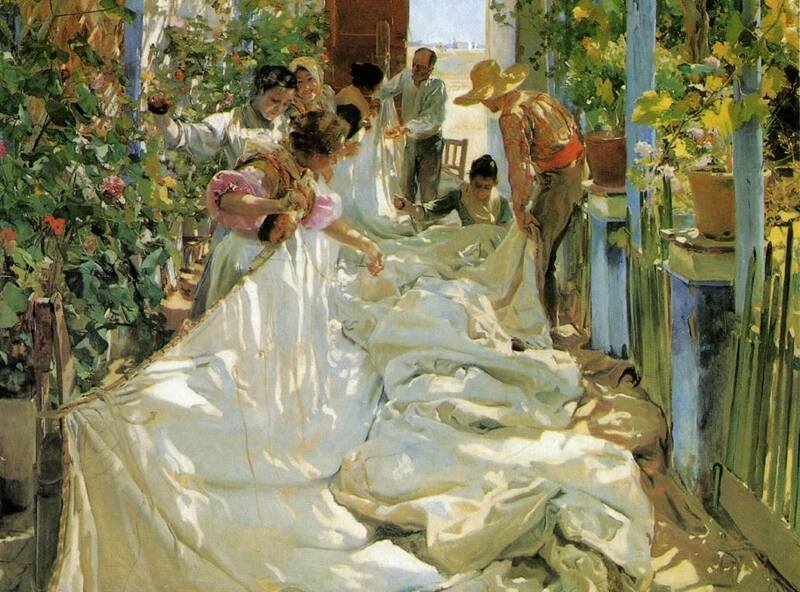 The Museo Correr , a fundamental institution in the cultural life of the city, owes its name to its founder, Teodoro Correr: a Venetian nobleman who in the years following the fall of the Republic was able to collect an enormous quantity of artistic works and Venetian heirlooms from many time periods, saving them from dispersion and constituting the nucleus of the museum. Thanks to later important donations and acquisitions, such as that of articles belonging to Doge Francesco Morosini, given by the City of Venice at the end of the 1800s, the Museo Correr has grown ever more robust and has become an important point for reference for academics and citizens. In 1922 the collections were transferred to Piazza San Marco in a new home that extends between the Napoleon Hall and part of the New Procuatory. Together with the Doge’s Palace it constitutes (or should constitute) the main exhibition of works of art and historical collections that recall the history and culture of La Serenissima. Unfortunately the radical changes of the past years show that renovations and repairs, while correct from a formal point of view, can alter the aims and characteristics of an institution. 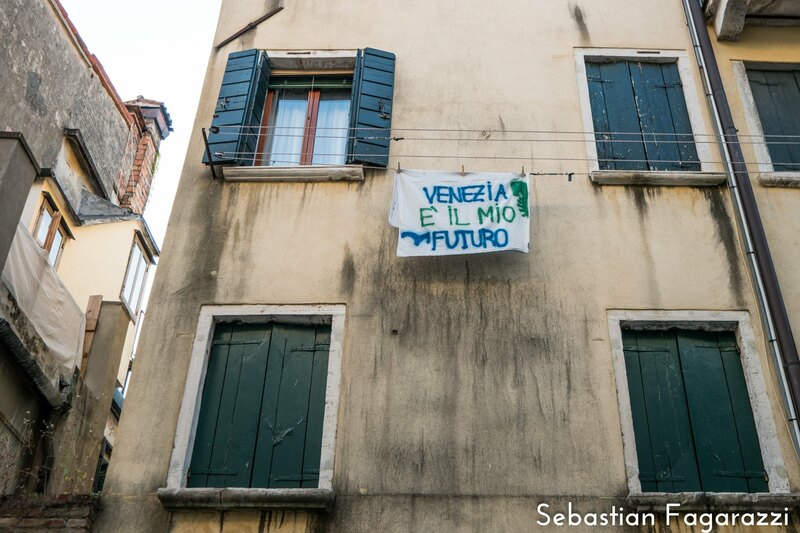 The citizens have the sense that the value of the more original and fundamental aspects of the history and culture of Venice has been lost sight of in favor of other, more historically marginal subjects. To return to the spirit and the logics that are at the heart of the origin of the collections of the Museo Correr, recalling also that the recovery of dignity and of understanding of the city comes not only from a greater attention to its history and to its people and culture, but also from a use that is not only for tourists and commercialization of its symbolic monuments, and underlining how a ‘quality tourism’, that it is said is desired to be cultivated, in reality involves understanding the history and the specific characteristics of a maritime Republic unique in the world, more than finding the types of things one can find in any other museum also here. Adoption of a city Regulation that, as the City of Florence has already done, fixes a limit on the proliferation of commercial activity incompatible with the protection of the city’s heritage, both physical and non-material (local artisans), taking advantage of provisions of law recently adopted at the national level with the objective of prioritizing local stores and artisanal activity; for such activity we further ask to identify methods of financial aids and incentives compatible with the rule “di minimis” (within the threshold of 200,000 euro per capita, which avoids the obligation of notification to the European Commission). 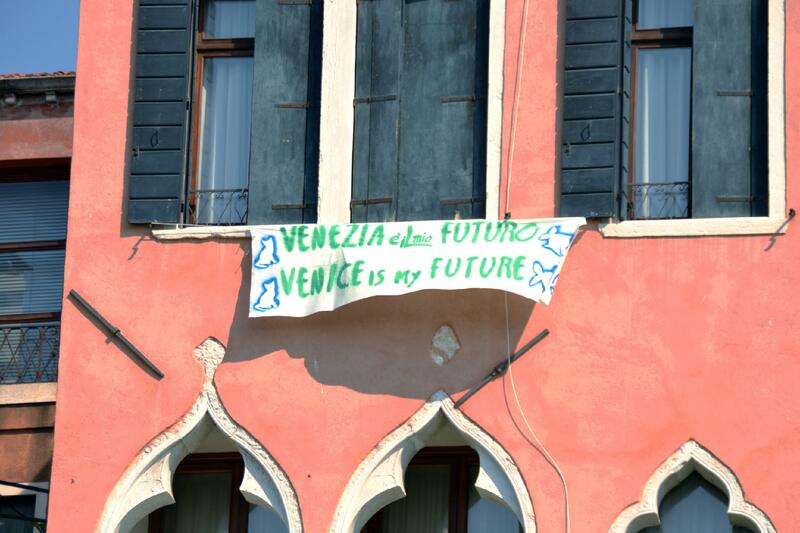 An innovative and promising proposal that we have received is that of connecting our hospital with the University of Padova and to bring to Venice trainees and doctoral students. Developing this pairing with the University of Padova, Venice could become a site of advanced medical research, setting up in the large and free spaces of the Convent of the Domenicani (now the Civic Hospital) a world class center of health studies, as has already been done at Trieste with SISSA. In the way the almost spaces of San Domenico would be put to better use, and would avoid speculative works related to tourism. In these locations one could develop clinical work and research, for innovative cures of absolute excellence. This would make our Hospital a point of attraction and would revitalize all the surrounding area. 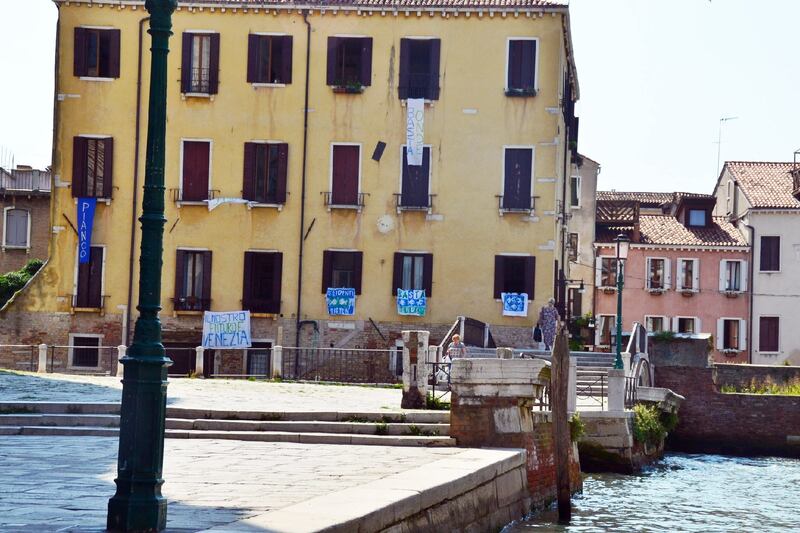 The maintenance of the neonatal unit in the Civic Hospital of Venice, in exception of the limit of 500 births per year, in consideration of the travel times and modes of transport available in the Lagoon city, as has already been requested of the Region. To release the announcement to assign the empty boat mooring spaces in the sestieri and the islands, that the city offices prepared over a year ago for then Commissioner Zappalorto and is now an obligation that has been ignored by the current Administration, given that the applicable city ordinance calls for this announcement every 2 years. 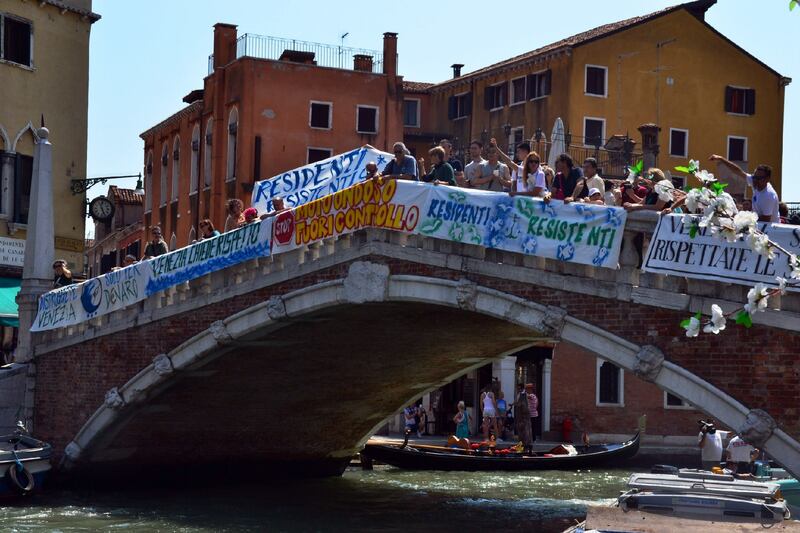 Immediate action regarding the Regional Agency for the Environment (ARPAV) in order that they finally install an air quality monitoring station in the sestieri, considering that the only sampling point present in the Lagoon was located at Sacca Fisola long ago when the circumstances were different than at present, it is not representative of the real exposure of the resident population such that it is classified as a ‘background station’ and does not measure the impact of local sources of pollution, such as water traffic. A plan for the fixing or scrapping of the most polluting marine engines, making use of ‘structural’ European Union funding for regional projects, or EU funds such as Life+. Reform of the city taxes such as TARI (Tax on Urban Waste) with a reduction to zero for the first house and a reduced rate for general domestic use; in the short term, immediately revoke the rate increases approved by the City Council for 2016, and finance with a rate increase applied to hotels and other tourism related buildings. 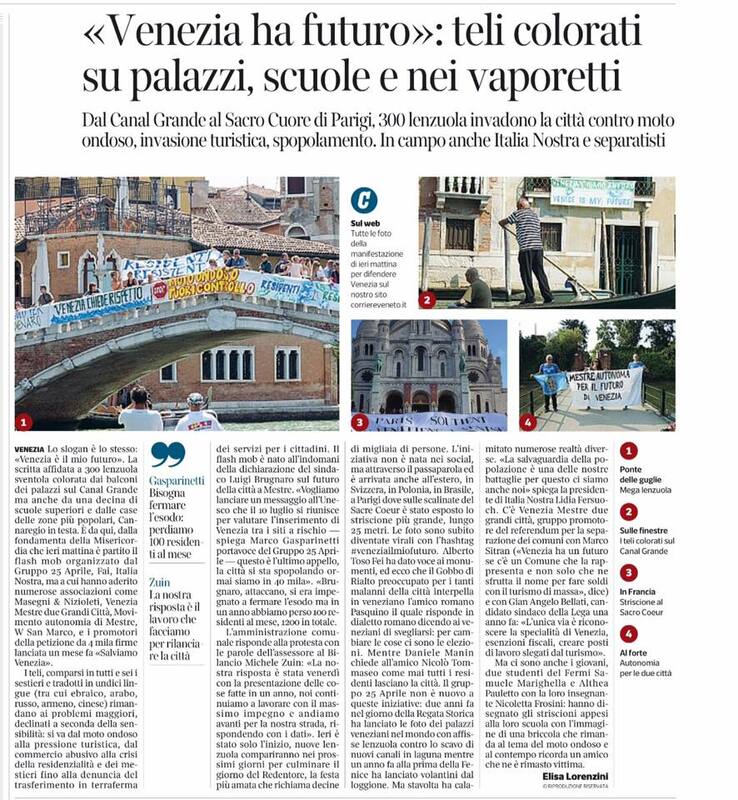 A renewed support for the development of nursery schools and kindergartens, which represent a fundamental service for the citizens and that have always been the pride of the City of Venice. This means strategic activity aimed at providing an excellent level of education for children and providing important support, especially for those families in which both parents work. It seems logical to ask that, also for the future, the City commits to guaranteeing an adequate quality of life and security for children and their families, as well as to those who work in the sector. Elaboration and activation of a plan for the reorganization of water traffic that puts as primary objectives: the safeguarding of the heritage of buildings public and private against the effects of motorboat waves; monitoring of atmospheric pollution; monitoring of sound pollution; the security of navigation of public scheduled transports, including gondolas and ferries; the right of residents to circulate with their own boats in the internal canals and a more rational approach to the transport of merchandise which is actually characterized by iron boats that are disproportionate to both the need and to the internal canals themselves. 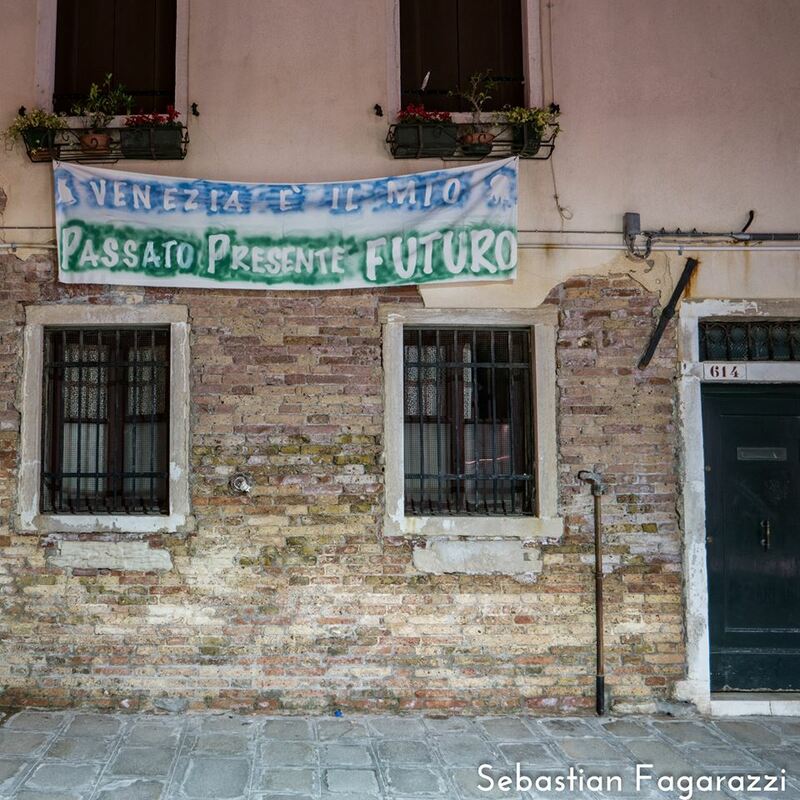 In the absence of an immediate, drastic remedy on the dual fronts of housing and work, the demographic curve in the sestieri is such that the ‘surviving’ residents of Venice are condemned to irrelevance by a cynical and myopic political class (to say the least) that reasons only with numbers and ‘how many votes gained’ from this or that community, not only at the regional level (in fact there is no regional council) but also in our own city: from the Administration in power the accumulated signs in this sense are already too great to ignore. 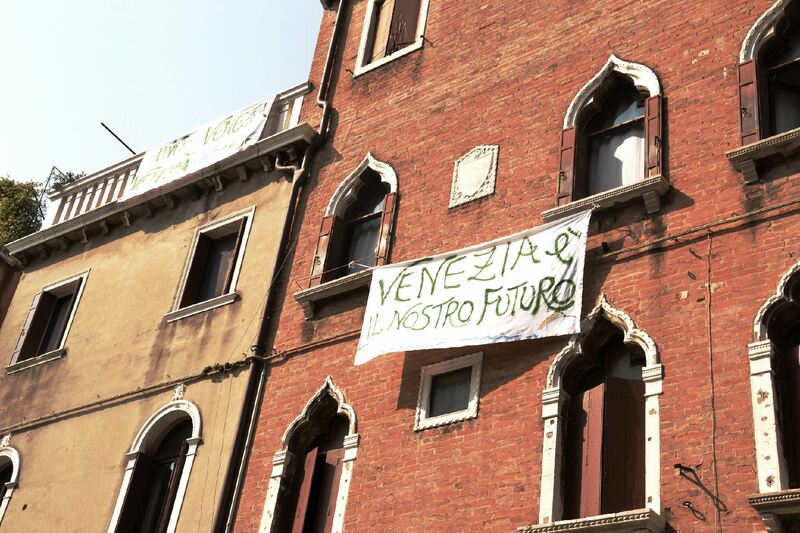 Call a referendum of popular initiative for the re-establishment of two autonomous cities (Venice and Mestre) for which 9,000 signatures have already been gathered, in such a way that the population can express themselves on the merit of the question, that the institution of the Metropolitan City of Venice permits to be addressed in a way different than in the past and considering that the current Mayor has recalled the delegates from the Municipalities, and in doing so has weakened the already feeble appearance of administrative decentralization. 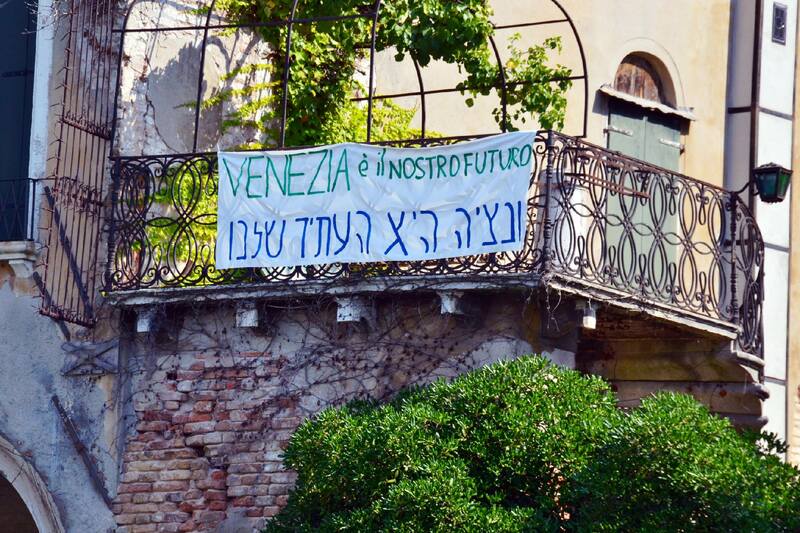 Considering the imminent call for a referendum on regional autonomy, the pairing of the two referendums would allow overcoming the objections relative to the costs of a referendum that regards the territory of the City of Venice. 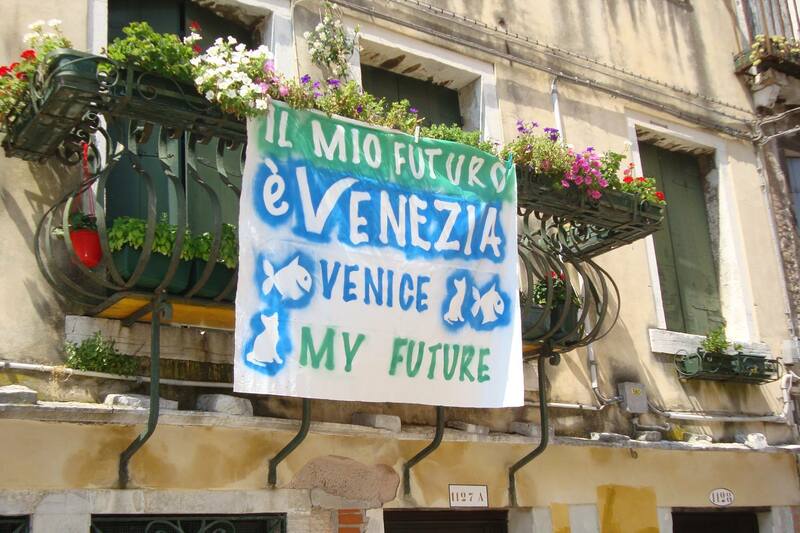 The recognition of a Special Status for Venice, which permits the city to: A) keep a portion of the revenue generated, rather than begging for money periodically, and which is in reality owed to the city if one considers the accumulated fiscal residuals (the difference between taxes collected in the territory and the sum of transfers and services received by the State); B) decide autonomously what the priorities for action are in the territory, without being sacrificed on the altar of electoral numbers that do not take in to account the universal value of Venice, its special traits which are unique to the world, and its status as World Heritage. 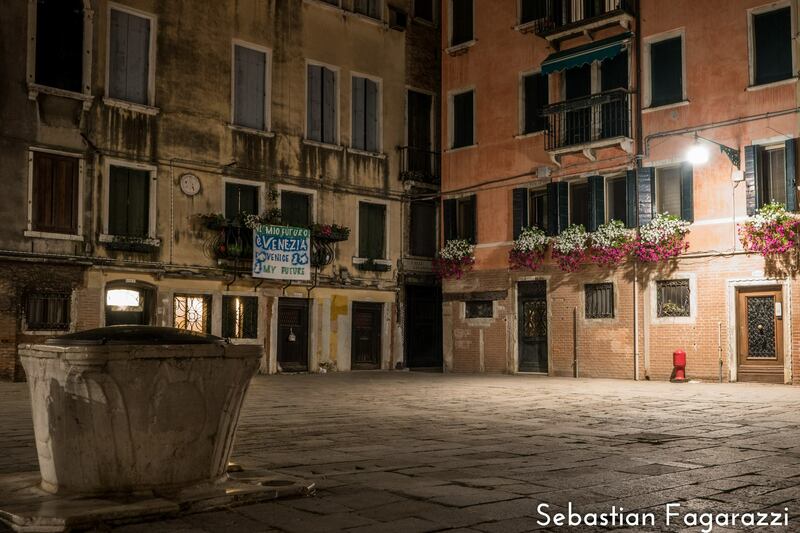 Bring back the open air cinema at Campo San Polo. Double the frequency of the Santa Marta Flea Market, which is particularly valued by residents. 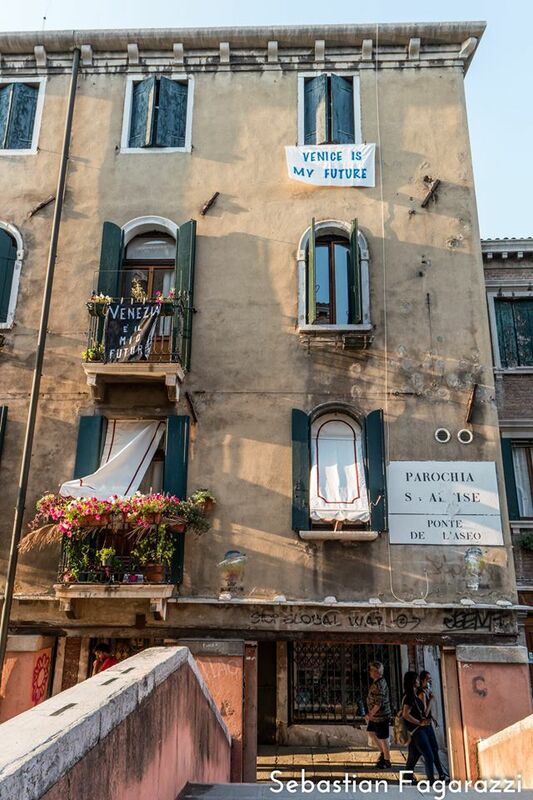 The restoration of the antique and collectible stores, denoted as “Mercantini dei Miracoli’, eliminating the tariff of 50% for professional vendors which has been responsible for their disappearance. Maintenance and repair for public fountains and more generally to all the things that are city property in public spaces (benches, fountains and signs) that at times are found in a state of incomprehensible abandonment. Facilities for sports and athletic activities are scarce; we lack, for example, a facility for promoting youth athletics. We ask the City to guarantee a complete offering of sports activities, starting with better use of existing facilities. 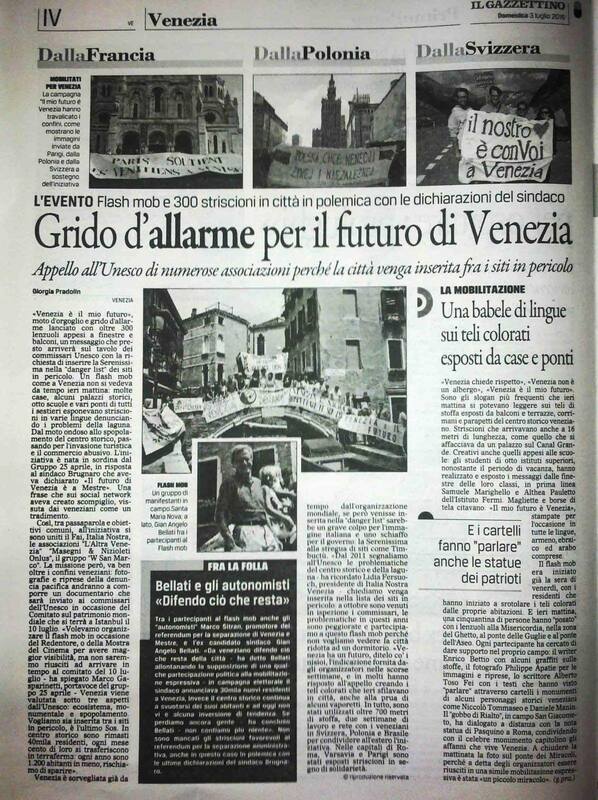 This document will be sent to mass media and to the participants at the public meeting on Jan. 20, and will then be published on the Venziamiofuturo Facebook page and on the web page www.gruppo25aprile.org. Fra i molti e bravi fotografi che hanno fatto conoscere al mondo questa campagna, un posto particolare spetta alla più giovane di tutti: Althea Pauletto. La qualità delle sue foto è emozionante, da parte nostra le siamo grati per averle messe gratuitamente a disposizione del gruppo. 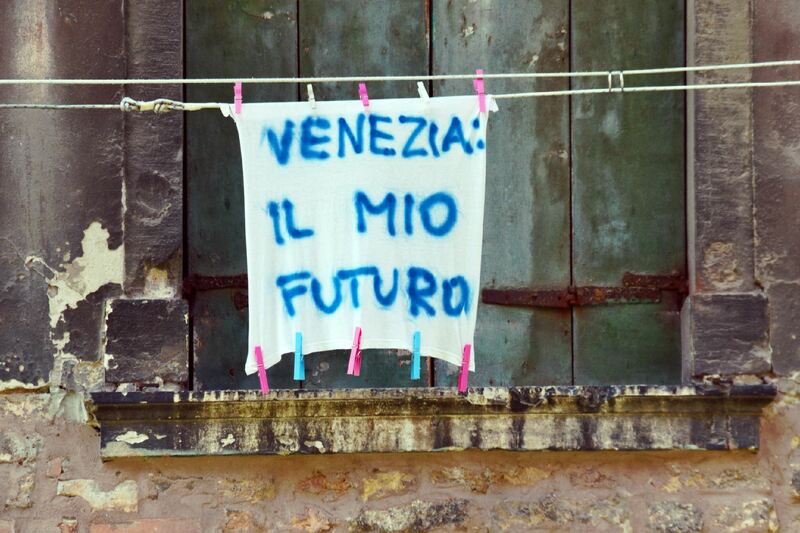 Se ne pubblichiamo una selezione con il giusto risalto, è anche perché vorremmo incoraggiarla a coltivare il suo talento: di nuovi talenti come questo Venezia ha bisogno, per costruire il suo #futuro. 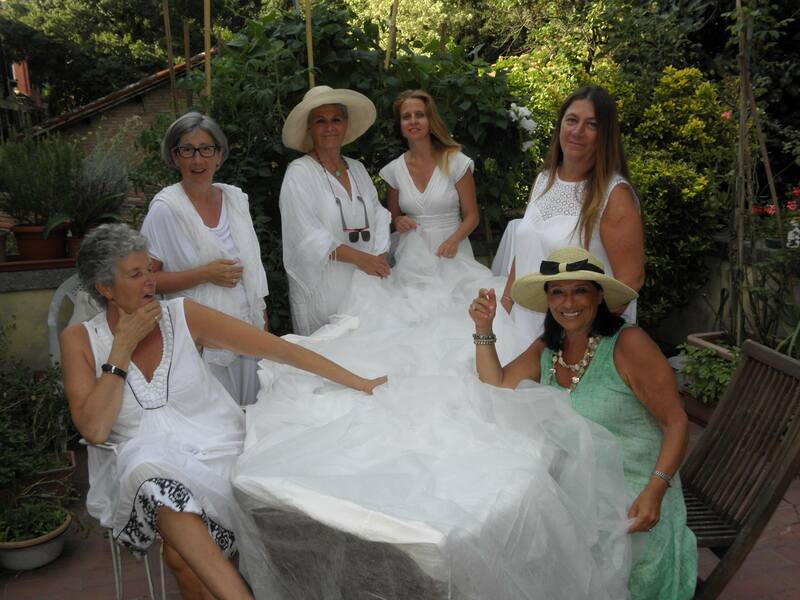 C’era un tempo in cui le nostre donne, da Caorle a Pellestrina e Chioggia passando per Burano e Castello, cucivano vele quando i mariti erano lontani. Mariti pescatori o marinai, che dovevano affrontare il mare e le tempeste. Le vele dovevano essere forti e robuste, per permettere ai mariti di ritornare a casa e abbracciare le famiglie. A volte erano anche colorate, per poterle riconoscere da lontano; è la metafora a cui ci siamo ispirati, nel lanciare l’operazione “ditelo coi nizioi”.. e a cucire o colorare le vele ci abbiamo messo anche i maschietti, portavoce compreso. Technique: operazione lanciata con il passaparola fra gli iscritti ai nostri due gruppi, senza proclami o annunci su facebook per non rovinare l’effetto sorpresa, anche se con questa scelta abbiamo rinunciato ad averne molte di più. 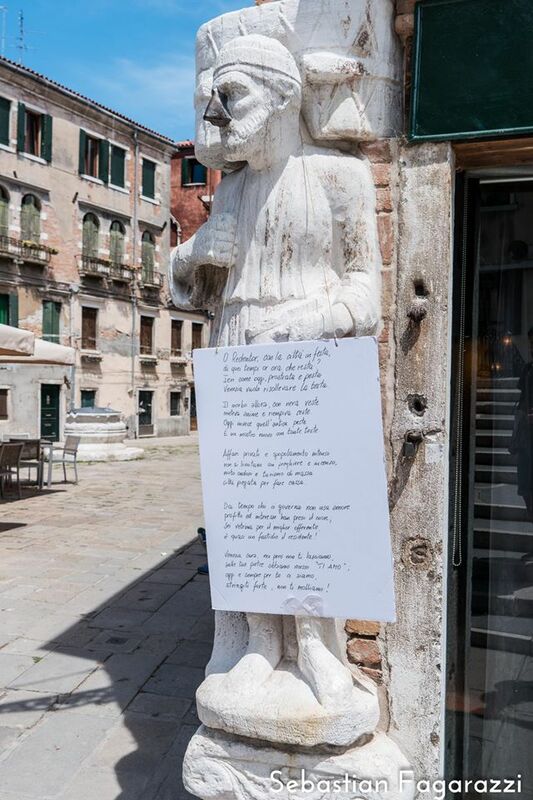 Tutto a mano e tutto made in Venice, turni di lavoro con 10-12 persone a turno, tre laboratori dislocati a Castello, Dorsoduro e Mestre senza contare quelli delle scuole (9 fra licei e istituti superiori) che hanno lavorato in totale autonomia. 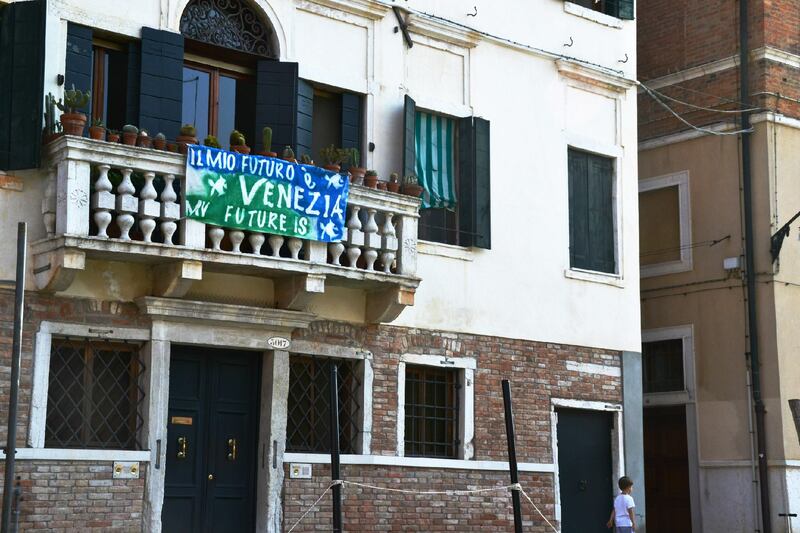 Studenti e residenti uniti come non succedeva da anni per dire che il nostro futuro è qui, che Venezia merita anche un futuro e non solo quel glorioso passato che nessuno comunque potrà mai rubarci. DITELO COI NIZIOI, E DITELO IN TANTI !! !